We in Rhode Island are passionate about helping people and often love to work with technology and equipment. If you pride yourself in reaching out to people in need of hour, if you are drawn to healthcare, and if you want to make a difference in people’s lives, a career in the hearing health services industry is what awaits you. Become a licensed hearing aid specialist in less than 3 months with Hearing Aid Academy’s online program. HAA Hearing aid specialist licensing program prepares you to pass the state licensing written and practical exam here in Rhode Island. Study anywhere anytime online with a working internet connection and a laptop. What’s more? Sign up for the Hearing Aid Academy’s program and get access to the following benefits. Rhode Island is full of interesting surprises. Do you know the Rhode Island School for Deaf is one of the first five-day Pre-Kindergarten to 12 grade schools to be founded in the United States? It was also the last deaf school to be founded in the 1800’s. Want to make a change in someone’s life? Help them hear different sounds by qualifying as a hearing aid specialist here in Rhode Island. A career as a hearing instrument specialist helps you achieve all this and more. Hearing Aid Academy help people who want to make a difference in someone’s life. We offer the most complete, comprehensive, and advanced online education program to help you pass the state licensing exam here in Rhode Island. The Hearing Aid Academy offers the most comprehensive hearing aid specialist licensing education for the written and practical exam at a cost-effective price. Monthly payments start as low as $199. While the average cost of a traditional setting depends on a variety of factors, online programs cost less because the associated expenses are near to negligible. The course caters to the important education material while cutting back on unnecessary subjects. We have qualified instructors on board with more than 30 years of experience to help students clear their doubts and prepare for the program. We offer an advanced 100% online education program to help you pass the hearing aid specialist licensing exam. You can complete this self-paced learning program within 3 to 6 months. Further, you can easily arrange the learning schedule to meet your individual needs. When you enroll in a traditional program, you must leave your job, forget your hobbies and make studies your priority. But with HAA hearing aid specialist licensing Rhode Island program, you can work regular hours, and make progress with a rhythm that suits your schedule. Do you dread sitting in a classroom for long hours? Are uncomfortable chairs causing you a backache at the end of the day? If so, HAA online program is the solution. When you opt for online programs such as the hearing aid specialist licensing in Rhode Island, you will not be bound to physical classroom sessions. We provide all education material online, which can be accessed from anywhere. This gives you the advantage to schedule your study time around the rest of the day instead of scheduling your day around your classes. Hearing aid specialists are in high demand as one in every three people above the age of 65 suffers from some level of hearing loss. Tired of working for other people, how about working for oneself? We have a great track record of success. We equip you with the knowledge to pass the licensing exam in 12 weeks. Moreover, a career as a hearing aid specialist offers excellent income potential. To get hearing aid specialist licensing in Rhode Island, applicants must first pass a written competency exam, the International Licensing Exam (ILE) for hearing health professionals administered by the International Hearing Society (IHS). Every state has different laws, regulations, and policies for regulating the professions of hearing aid dispensers. And as an applicant, you are required to pass the written and practical state exam. Also, it is important to get familiar with your state requirements to work as a hearing aid specialist. If u want HAA can help you with that. 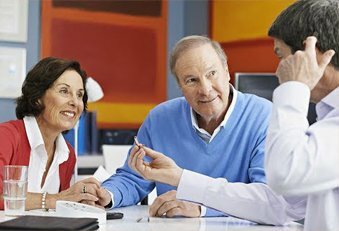 At Hearing Aid Academy, we have knowledgeable and qualified instructors who have at least 30 years real world experience working as hearing aid specialists. For over a decade, Hearing Aid Academy has effectively helped students prepare for ILE to become successful hearing aid specialists. The hearing health is a fast growing industry with a lot of potential. Do you know there are 5 jobs for every applicant qualifying as a hearing aid instrument specialist? Now, you are not required to spend thousands of dollars and two years of your life. You can prepare for the exam for a fraction of the amount in less than 12 weeks. So if you want to help people hear every sound around them, enroll yourself with the Rhode Island hearing aid specialist licensing program today. Call the Hearing Aid Academy at (903) 487-0097 or send an email to our qualified instructors at admissions@hearingaidacademy.com.